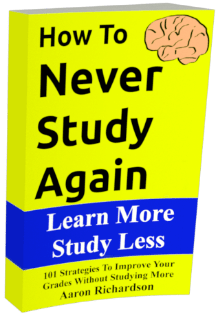 Q/A – What’s The Deal With Spaced Repetition? There are some topics that you just can’t avoid when looking into modern strategies for studying. This weeks question is about one of those topics: spaced repetition. I keep hearing about spaced repetition. A bunch of websites offer tools to study more effectively claiming spaced repetition is the key to their tools. I don’t remember ever reading your thoughts on spaced repetition. What do you think about it? For the readers that haven’t come across spaced repetition in the past, it is the idea that you can’t just study once and remember it. In fact, you can’t just study something twice and remember it. The more times you study something, the less often you have to study it to keep it in your memory but you can never completely stop using something and remember it forever. For example, if you want to remember that “caminar” means to walk in Spanish, you can’t just study it now and remember it forever. A week from now, you might have to restudy it. Then a month from now you should restudy it again. Then a year from now you should restudy it again. Then, you pretty much have to continue this forever. This is, to some extent, the nature of memory. 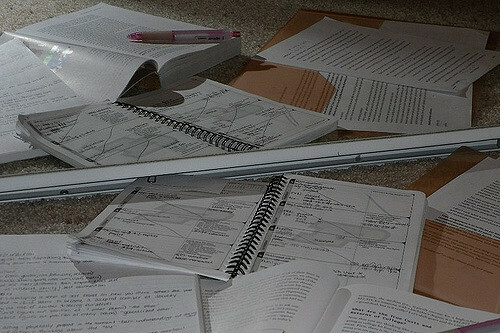 Instead of studying it once, you need to study it repeatedly at extending periods of time. Science has backed up this idea. Spaced repetition is definitely a factor when trying to remember something. This is really a common sense concept for anyone that’s dedicated themselves to studying. Eventually, you forget what you already learned. To get information to stick better, you need to be willing to review that information regularly. In fact, I recommend that all the time on this blog. It is definitely a factor but there is a serious problem when most people discuss spaced repetition. Spaced repetition may be useful but the vast majority of spaced repetition tools are based heavily on pseudoscience. These tools claim to have a serious scientific backing to them but the backing is generally too flimsy to count on to be anything consistent. Right now, in my opinion, there is not enough information on spaced repetition to create a solid and consistent study tool relying on it. Each spaced repetition based tool will end up working great for some people and working terrible for others. Some of these tools can be used and adjusted to make spaced repetition work well through experimentation but these tools are not the important part of the solution. It’s the experimentation that’s doing the real work. I highly recommend spaced repetition. I’ve even recommended it a few times without actually calling it by its name. You need to be willing to review information regularly to get it to stick. That being said, don’t trust people claiming to have figured out the ideal time frame for this repetition. There are no strong scientific backings for specific tools I’ve looked into. Many of these tools are just cookie cutter guesses at what a good routine should look like. While they may work alright, I wouldn’t be betting too much on them. Keeping repetition to a minimum is my preference though. For more info on that read Repetition Helps You Remember. It Doesn’t Help You Think. Do you want to know how to study in less than 15 minutes a night? That’s what this blog is all about. Be sure to follow and check out the archives to learn more. If you’re looking to learn it all even faster, be sure to check out the ebooks in the sidebar.